Wow! We’re pretty sure the 2013 Waterbury Arts Fest was the-absolute-best-ever! 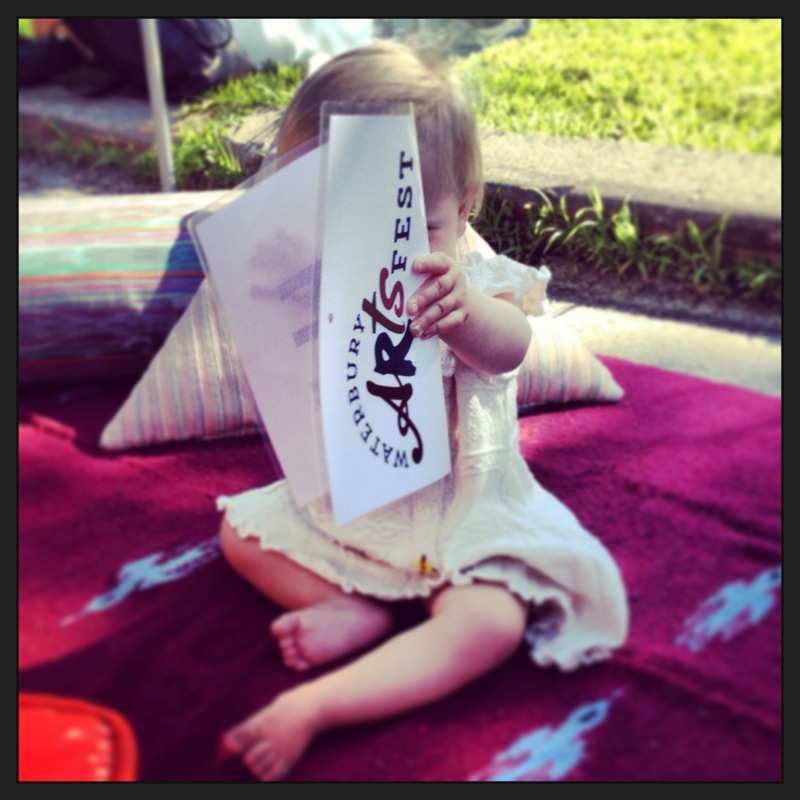 Everyone had fun at the 2013 Waterbury Arts Fest! Our shoulders are a little sunburned, our faces still have face paint on them, our feet are sore, but we devoured some awesome food, danced to some killer music and purchased a wide range of incredible artwork, all while smiling and laughing with our friends, family and neighbors under sunny (or at least non-precipitous) skies. We couldn’t ask for anything more! We will have photos of this weekend’s events shortly so stay tuned and be sure to follow Revitalizing Waterbury on Facebook to stay up to date on all of our goings on. We would like to issue a huge and heartfelt thanks to everyone who was involved and helped make this years Waterbury Arts Fest such a huge success: our tireless team of volunteers, our super generous sponsors, our supremely talented artists, musicians and performers and of course YOU for coming out and enjoying this weekends festivities! We hope you all are as thrilled with the weekend as we are! Only hours after wrapping up we are already scheming up ways to make next year even better. If you have any feedback for us, please let us hear it. The Waterbury Arts Fest is nothing without the community members who attend! So comment here or on our FB page or email our Event Coordinator Meg, megsevents@gmavt.net, with any questions, comments, etc that you have. Thanks again everyone! Can’t wait ’til next year!